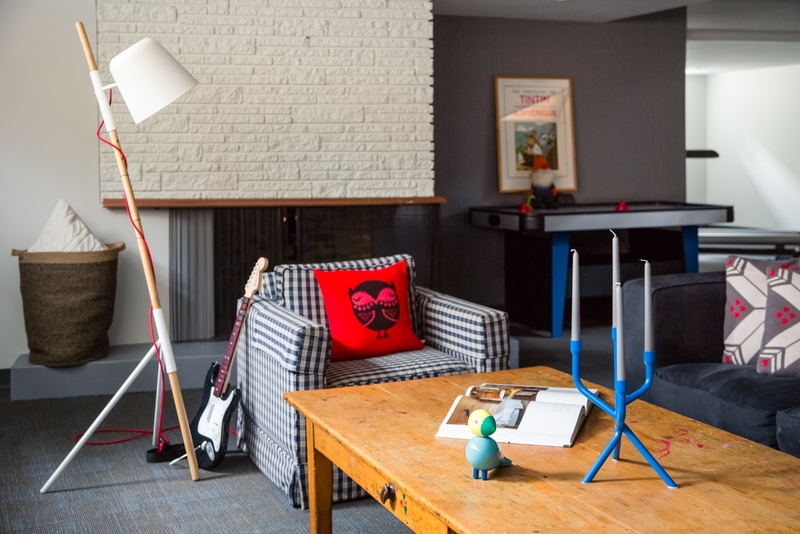 How this mid-century basement got a head-turning facelift thanks to lots of paint, carpet tiles and perfectly selected furniture. 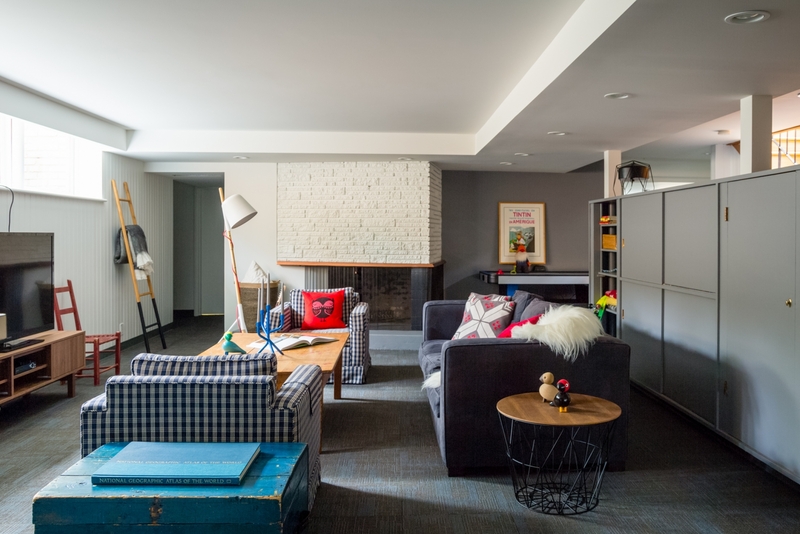 Stephanie and Richard Edwards hired local designer Elena Del Bucchia to tackle the basement renovation in their Mayfair-neighbourhood mid-century bungalow. 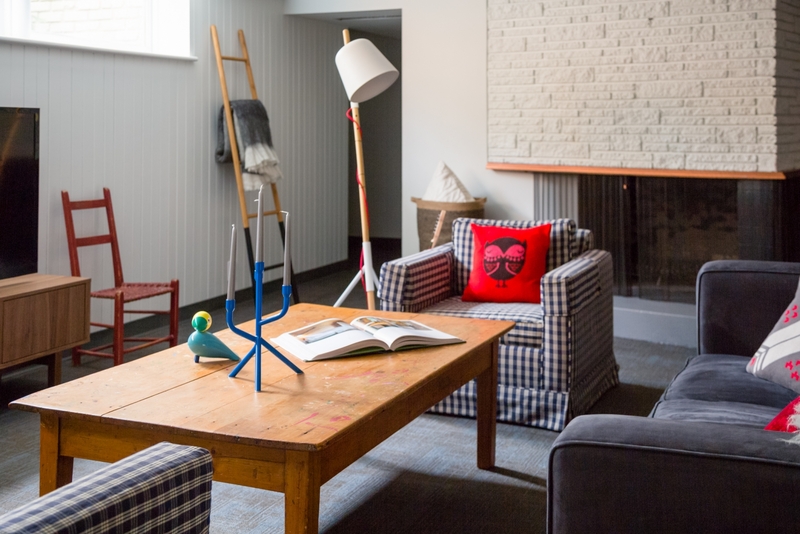 Del Bucchia updated the space with the family’s love of Canadiana in mind. 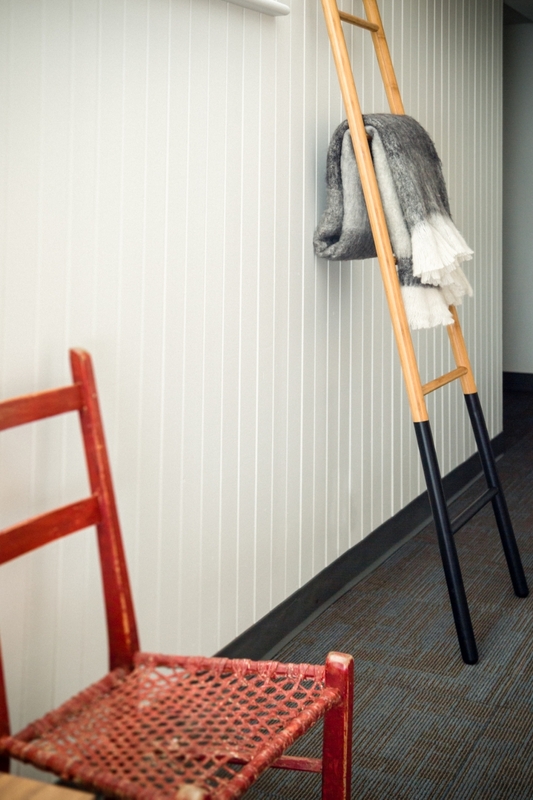 In addition, she added much-needed storage solutions for the expanding needs of the growing family. The original owners of the home owned a concrete business which then led to the entire home being built with concrete, including the interior walls. 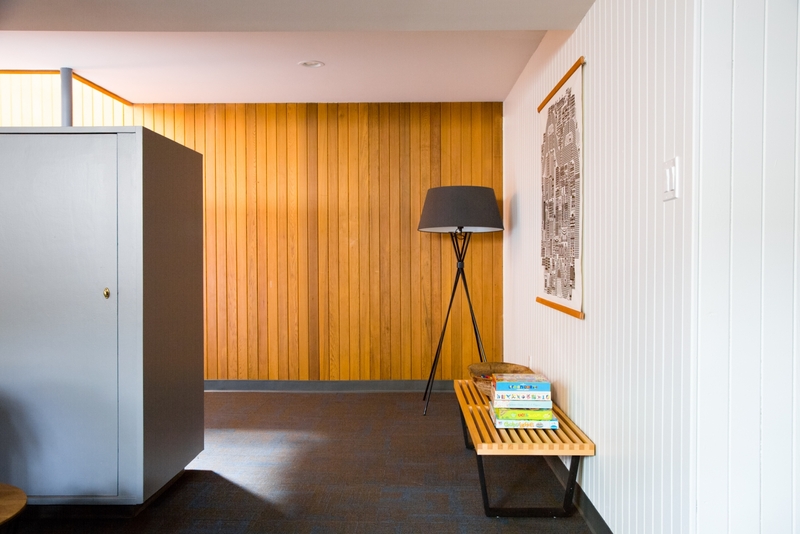 “We wanted to keep the cost down, but also preserve the mid-century integrity of the house. We kept our mid-century solid concrete bar. We even kept the vintage indoor, built-in barbecue which is behind the bar. I guess they used to BBQ in the basement in the 1970s. To its credit, it has a great vent,” says Stephanie. 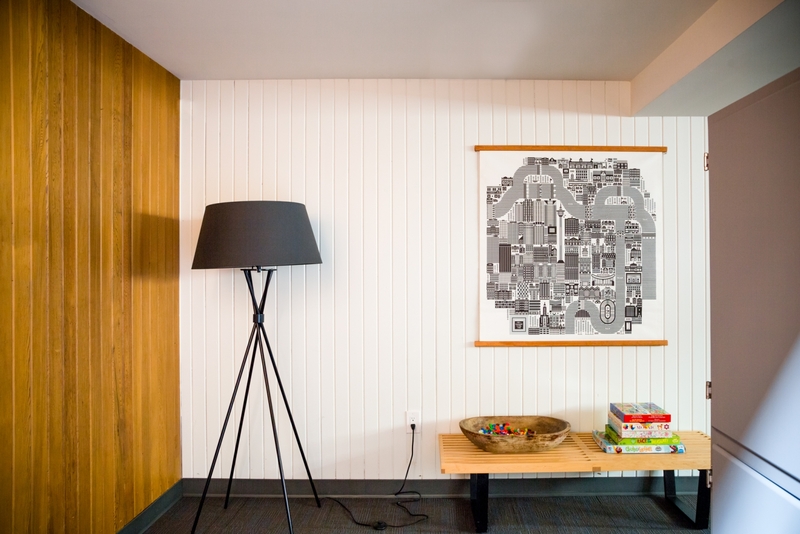 A designer’s influence was just what the basement needed. The couple brought on Elena Del Bucchia, of Elena Del Bucchia Design, to tighten the space with furniture, lighting and artwork. 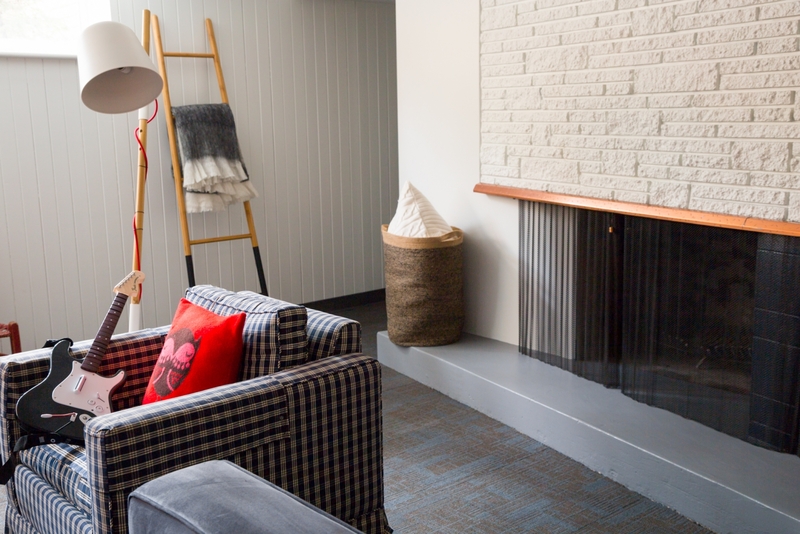 “My favourite details in the home include the floor-to-ceiling cedar paneling and the real wood-burning fireplace clad in brick with copper detailing. 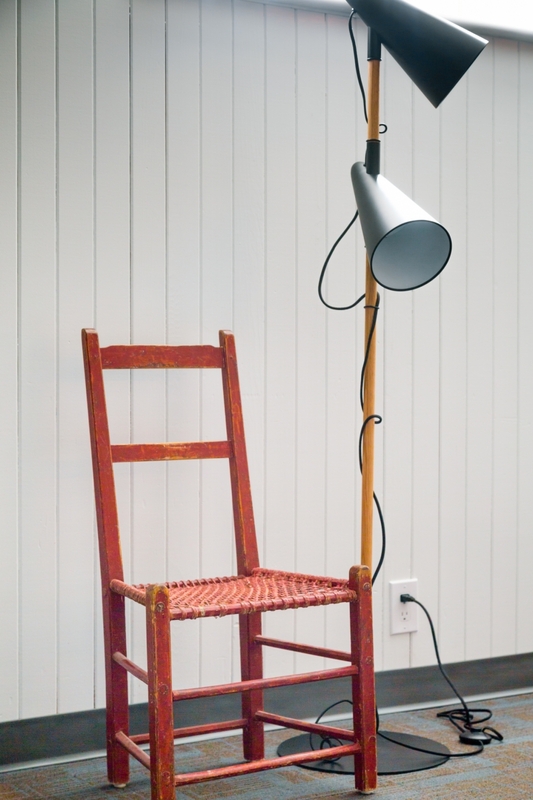 We fully embraced these elements as part of the final product,” says Del Bucchia. “Stephanie and Richard have great taste. 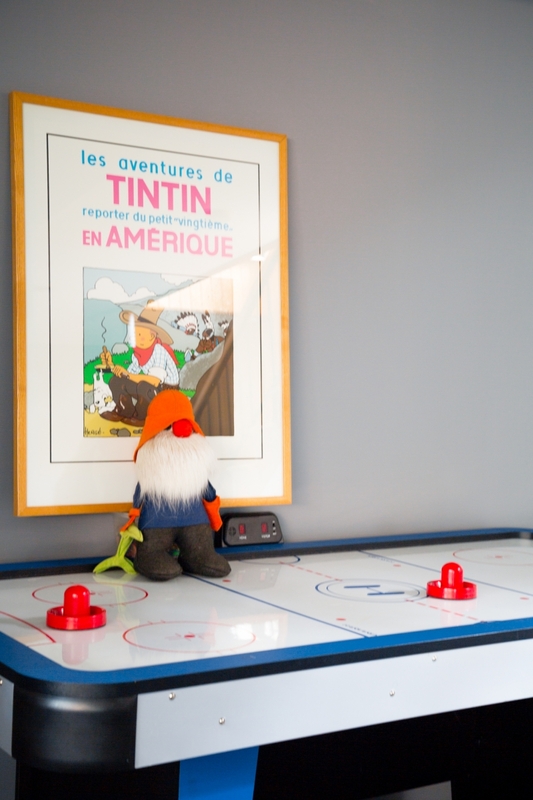 Their vintage “Les Aventures de Tintin” print from Richard’s youth adds a whimsical element to the space. I also really like our Kit Interior Objects find, the “Calgary on 13 February 1988” print by Raymond Biesinger,” says Del Bucchia.